Right now, students have the opportunity to join Northvolt’s mission and write a master’s thesis on topics related to battery technology. 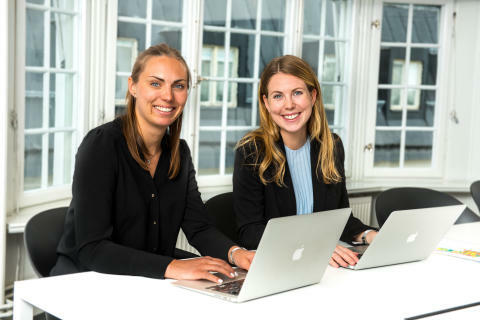 Ida Carlsson and Maria Pirttiniemi, two engineering students from KTH Royal Institute of Technology in Stockholm, are just about to finalize their thesis on sustainability considerations in purchasing of critical battery materials. Their advice to fellow engineering students is to look for a thesis topic that they feel really passionate about. We are master students finalizing our degree within Industrial Engineering and Management. Our degree is a mix of engineering and business that also includes energy systems and sustainable development. We have spent this spring writing our master thesis at Northvolt. What made your write your master thesis at Northvolt? Ida first met with Peter Carlsson, Northvolt’s CEO, during an internship in San Francisco a year ago. Hearing him talk about the ambitious project to build Europe’s largest battery factory was intriguing, and so the idea about writing the thesis at Northvolt came up. The mission of Northvolt is truly spectacular. The opportunity to be a part of the journey while learning more about battery storage and the electrification of the future made it an easy choice. One of the challenges that lithium-ion battery manufacturers face today is how to secure supply of the critical material included in a battery cell. The material needs to meet the required quality demand, while still being sourced in a sustainable way. Mitigating supply disruptions and ensuring environmental and social sustainability in the purchasing process is important to guarantee long-term competitiveness. The aim of our thesis is to investigate how unique critical material characteristics affect the purchasing environment and can be considered to obtain a sustainable inbound supply chain. During our research, we have mapped the direct materials included in a lithium-ion battery cell and explored how these can be procured in a sustainable manner. Our analysis shows that aspects concerning vertical integration, long-term agreements and recycling possibilities are factors that should be taken into consideration to be both sustainable and competitive. What has your experience at Northvolt been like? We have been working closely with the Northvolt team during the spring. Both with the technical specialists as well as Paolo Cerruti, who is the Chief Operating Officer and has supervised us in our work. Before we started the project we only had basic knowledge of battery technology but now we feel like experts within the field. Writing our thesis has been both challenging and developing, but most of all – a lot of fun! Northvolt’s vision is spectacular and the team is impressive and experienced. Being a part of the journey, while learning more about battery storage and electrification, has been a great experience for us. For other students that are about to finalize their studies, we recommend you to look for a master thesis topic that you feel really passionate about. Our project has been exciting and inspiring, which made it the perfect end to our five years of engineering studies. Are you interested in writing your master’s thesis at Northvolt? Click here to apply.